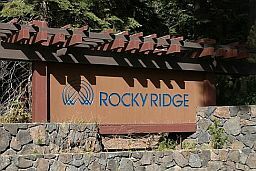 Rocky Ridge is Lake Tahoe's premier condominium development. 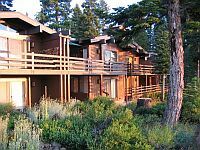 Located just outside of Tahoe City featuring stunning lake views, peaceful forest scenery and many amenities. A great place to visit, a great place to live. 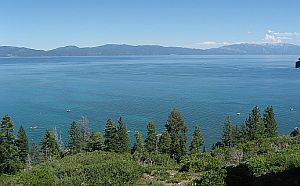 Rocky Ridge is situated above Lake Tahoe's north shore and overlooks the lake. 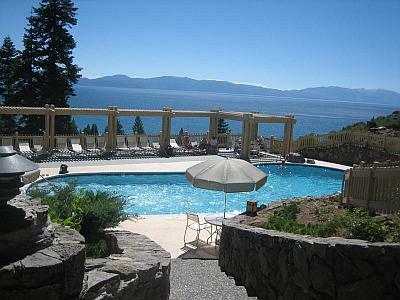 The vista is stunning year round, with the natural grandeur of sparkling Lake Tahoe layed out below. 100 units make up the development, with gated access to the peace and serenity that distinguish this great neighborhood. The property is adjacent to Burton Creek State Park, which offers trails for hiking and biking in the summer and snowshoeing or cross-country skiing in the winter. The forest protects the property from further development, guaranteeing the setting will remain peaceful and natural. In addition to the lake views and forest scenery, Rocky Ridge is equipped to support an active lifestyle. Two swimming pools and spas are available. One pool and spa overlooks the lake and is great for cooling off in the summer season and the other offers year round access. Three full size tennis courts are available for residents and guests. A basketball court, two Bocce ball courts, and playground for the younger kids makes Rocky Ridge appeal to families of all ages. A community beach and pier offer direct lake access. There is a clubhouse with restroom facilities, a BBQ area, and a sand volleyball court. The association has mooring buoys available to residents with boats and the pier is staffed by a mooring attendant during the summer months. Rocky Ridge was developed as a joint venture of R.T. Nahas Co and Weyridge, a subsidiary of the Weyerhauser company. The project was developed in a few phases. The first major phase was built between 1970 and 1974, and includes units 1 through 68, the original (lower) swimming pool and poolhouse, the tennis courts, and beach club. The remaining units were built between 1980 and 1990. High, open-beam ceilings with natural fir wood paneling make these units truly classic. At the time Rocky Ridge received awards for both environmental sensitivity and architectural excellence, which leads to great ongoing enjoyment for owners and guests and excellent ownership value. 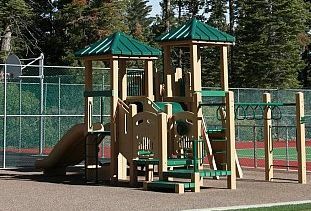 Rocky Ridge is located at 1877 North Lake Boulevard, Tahoe City, CA 96145. 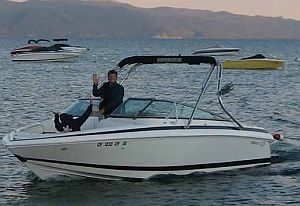 Just under a mile outside of Tahoe City proper, access to town is easy and convenient when desired.